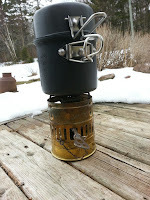 I've gotten that spring fever travelling bug, and as I had received some stove parts on eBay from The Fettle Box, I thought I'd best retrieve the stove and pots from my Givi side cases in the garage and upgrade the stove with some new washers made from a better material than the stock rubber. 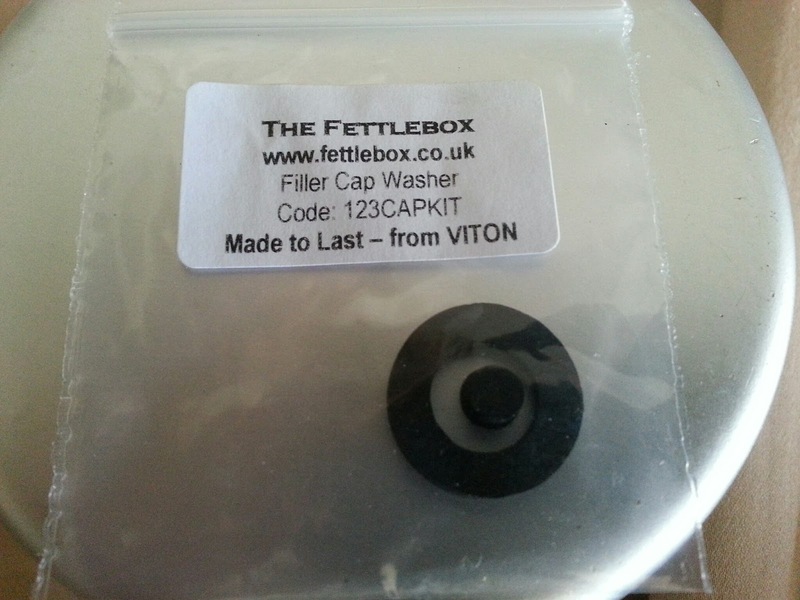 The Fettle Box sells the "Svea 123/123R filler cap seal & safety valve pip" made from Viton which is supposed to outperform the manufacture's stock washers and safety valve pip, and as I had spent some time on a picnic table at a campsite at Matane QC tinkering and trying to solve a pressure leak with the stove, I felt that replacing these parts was overdue. Where there is a SVEA, there is a fire! 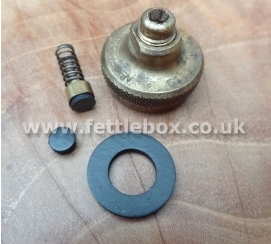 Disassembly of the filler cap was required in order to remove the safety valve pip, which was causing me the grief by venting a slight amount of pressure, but there is a hitch, as the filler cap has a pentagram rather than a hex shape on the top, and the removal tool sold by the Fettlebox is £17.00 which coupled with shipping is priced too high, so I tried a number of bits and found that a Torx T-15 pictured below worked well to remove the safety valve retaining cap. 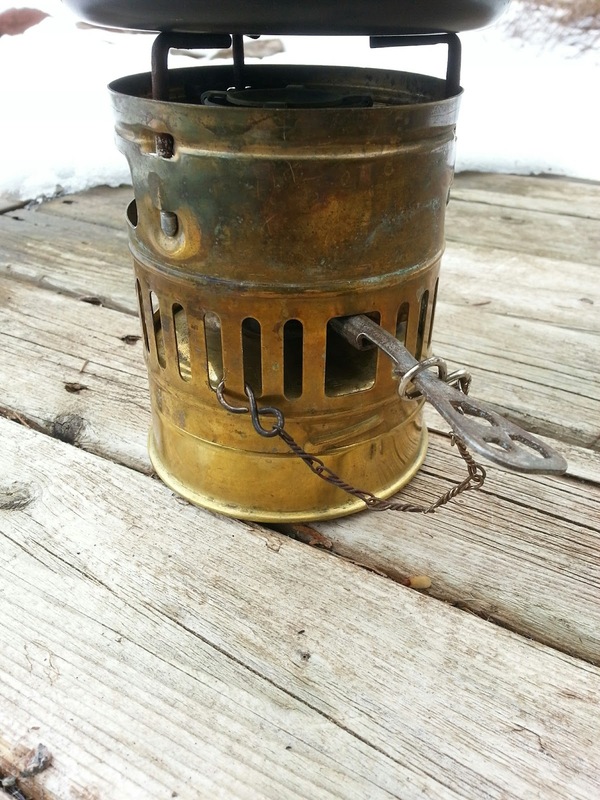 Be careful as they used a thread locker, and you may want to use a bit of heat or acetone to dissolve it in order to avoid damaging the brass pieces. I made out alright with just hand pressure on the screwdriver. Mark the thread depth before removal, to aid in reassembly. 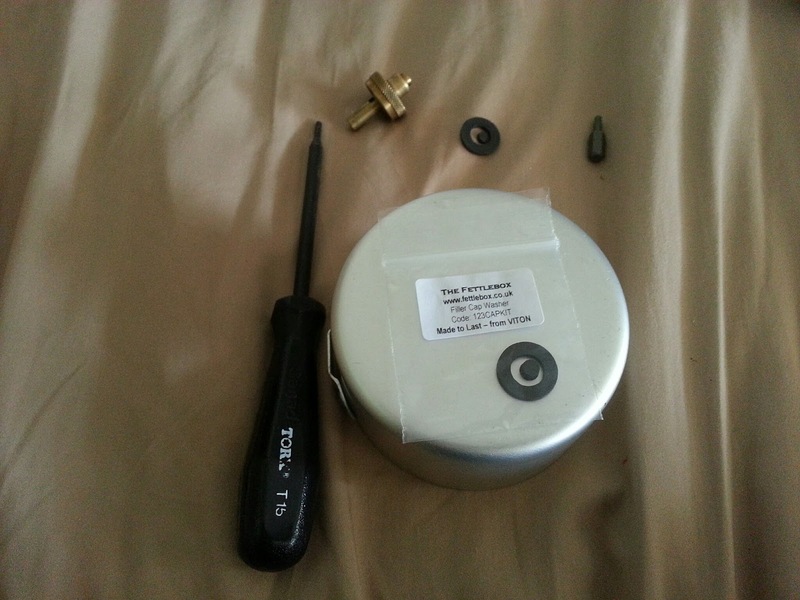 Conversely, I was unable to use the T-15 Torx on the filler cap that ships with the optional accessory air pump, so I replaced the filler cap on the stove with my original filler cap after replacing the seals. crack open the valve and wait for blue flame and distinct "helicopter roar"
This year I upgraded the bic pen to a short piece of plumber's pipe, 1/4" by about 2" to 3" in length. 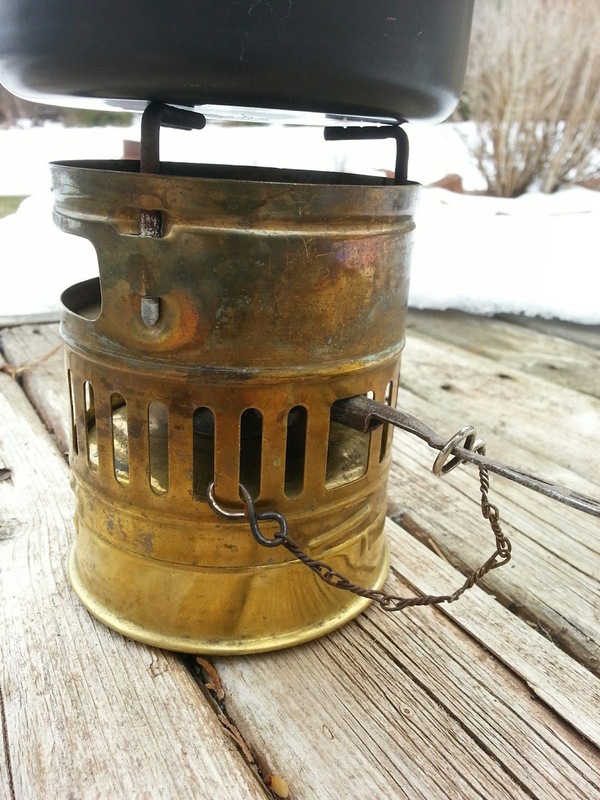 I've been watching some YouTube videos lately, and saw one where the gentleman had modded his stove, and moved the regulating key from the center of the stove where it was fastened, onto the brass windscreen as pictured below. It used to be a bit of an acrobatic dance with fire to mount the windscreen after first threading the regulating key and chain through the center of the windscreen, all while the burner was pumping out a lovely 5000 BTU flame. Now that I have relocated the key, I can simply mount the windscreen then position the key. 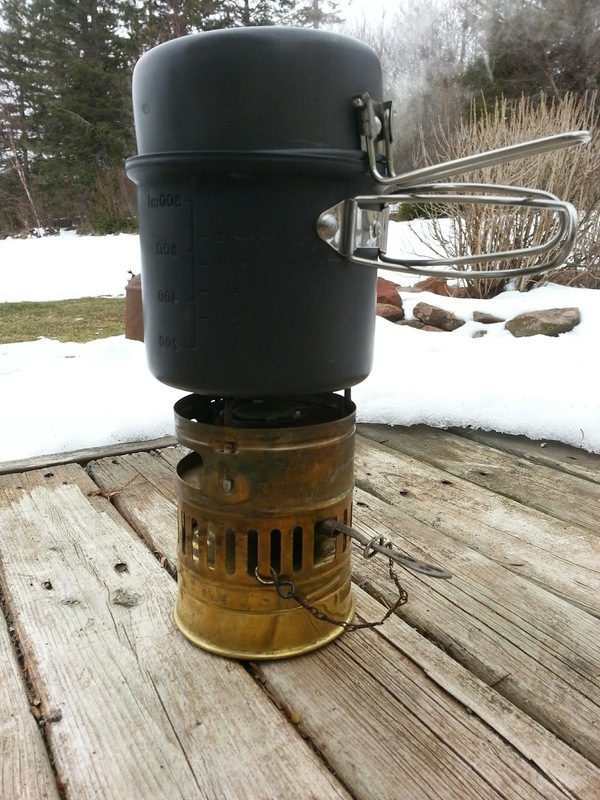 It has an added benefit of applying a nice friction fit to the aluminum pot that ships with the stove, so I'm quite pleased with this well thought out mod. F. USE ONLY white gasoline (unleaded). Not car gasoline. 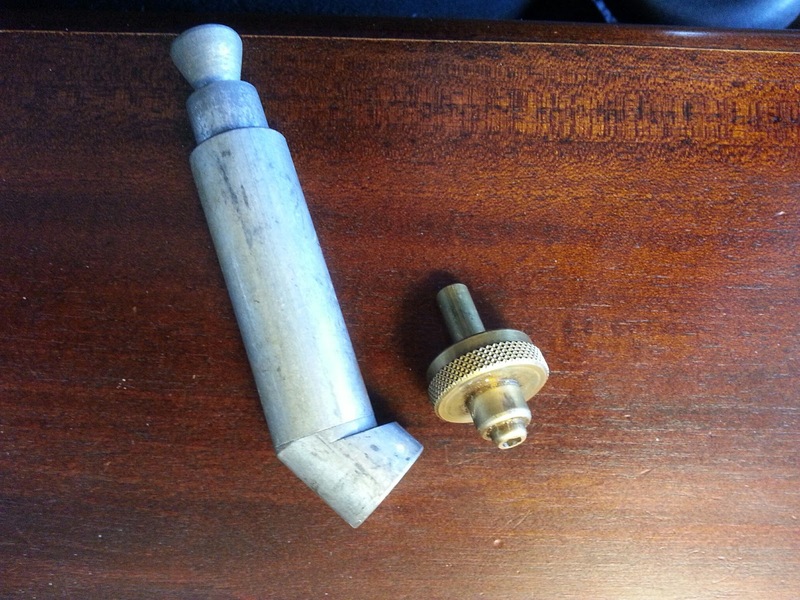 But unofficially you can burn automobile fuel in the "Swedish Hand Grenade" and the original SVEA123 includes a jet cleaning tool to remove deposits while the SVEA123R has the jet orifice cleaning tool attached to the regulating valve so can easily be cleaned. White gasoline or naphtha (Coleman Stove fuel) burns hotter and cleaner, so if you do drain the fuel on your motorcycle and add it to your SVEA, I expect your pots will be as black as the inside of your exhaust pipe. This gentleman travelled extensively while using unleaded gasoline in a Coleman two burner 425 model. 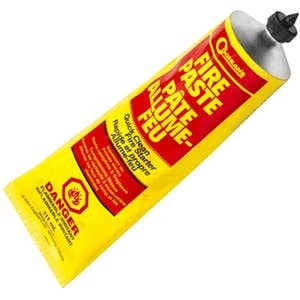 A tip to reduce fouling of the stove was to add a dash of fuel injector cleaner to each tank of fuel. Obviously you do so at your own risk. Advice from the internet is worth what you paid for it. Jimbo runs automobile fuel in his SVEA... and another source in Australia runs petrol in his, but also stipulates that he rinses it out well and NEVER stores the stove over the winter with gasoline in the tank as the newer ethanol blends will separate, gum up and varnish the works, just as they would do to a carburettor. And it runs beautifully on two year old fuel. 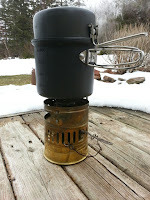 Love this stove! 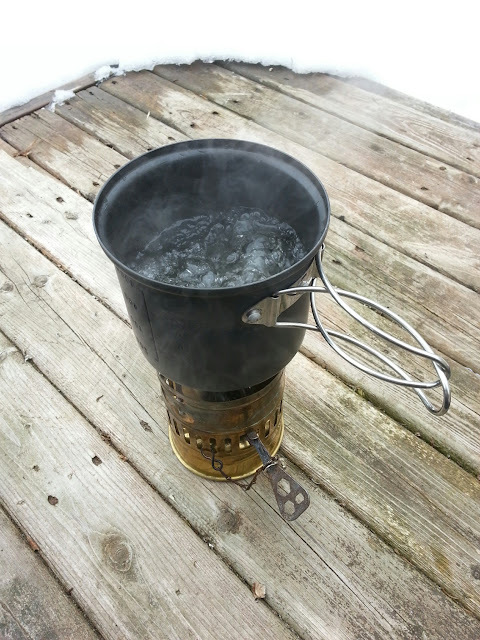 And it runs beautifully on seven year old Coleman fuel after one prime. I love this stove, as it's very simple to operate, maintain and clean, and with the upgraded Viton washers, should require no further repairs for a very long time. In fact I understand that refined white gasoline has a very long shelf life, and the only danger of buying the one gallon tin, is that cold air in the tin might condense water vapour and contaminate the fuel, or rust the interior of the can. 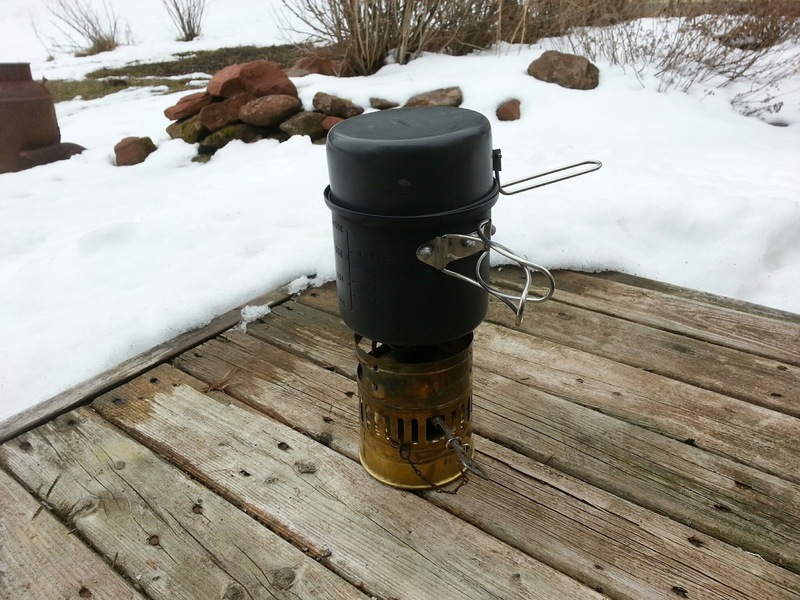 Classic Camp Stoves in the UK has some excellent information on the SVEA lineup including this great tear down How-To article. The Optimus SVEA123R product information including manual is here, and it sells spare parts kit here. That plastic tube I was using to fill the primer cap started to split and I was having trouble using it as a "pipette" so I upgraded to a wee 1/4" piece of copper pipe used by plumbers and HVAC repair, and it worked very well for daily use over eight days of camping this year. The viton seals are holding up perfectly. 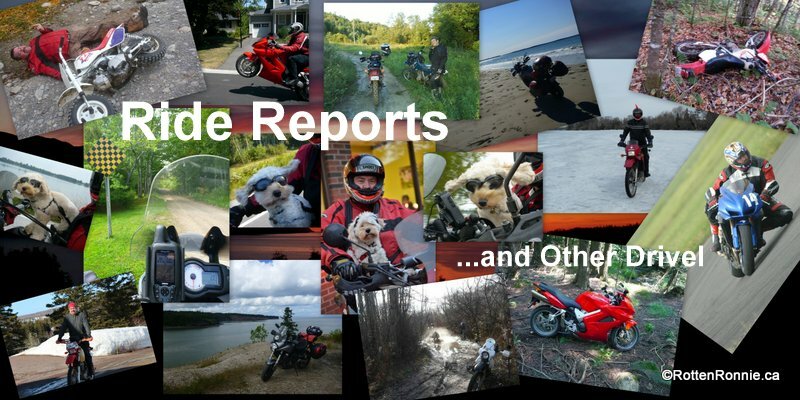 Although on the motorcycle, the vibration is causing my regulator key to slip it's chain, so moving the key hasn't been a perfect solution, it is easier to use in this fashion, and takes seconds to slip back onto the brass windscreen. Perhaps another pinch with the pliers is in order to close the gap a touch more. 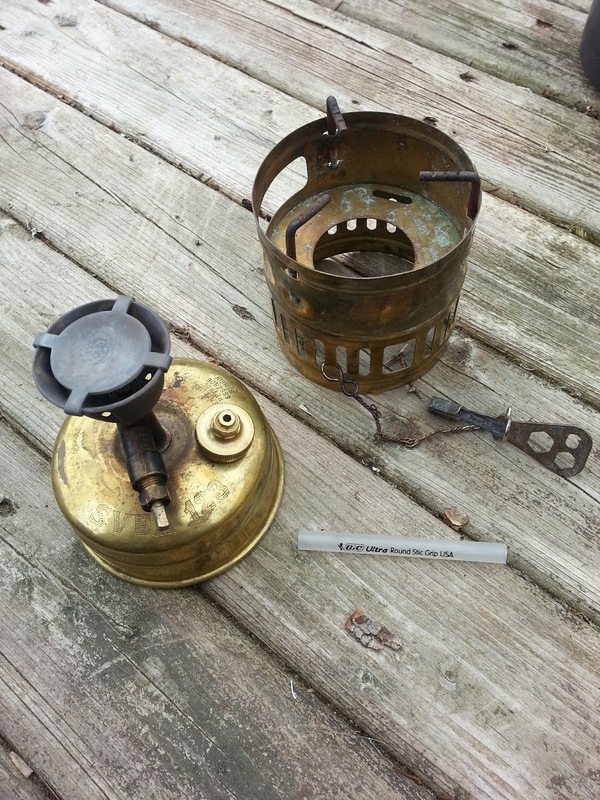 I need to clean and perhaps polish the stove as it is harder to place and remove the twist on windscreen as the tank oxidizes and accumulates minute dirt particles.